Every two months, we share with our clients and prospects relevant trends, innovations and concrete reference cases in the financial sector. 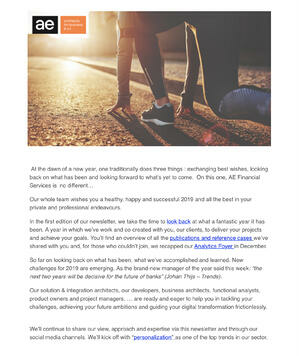 Below you’ll find the archive of these newsletters. 2019, The best has yet to come! In the first edition of our newsletter in 2019, we take the time to look back at what a fantastic year it has been. A year in which we've worked and co-created with you, our clients, to deliver your projects and achieve your goals. 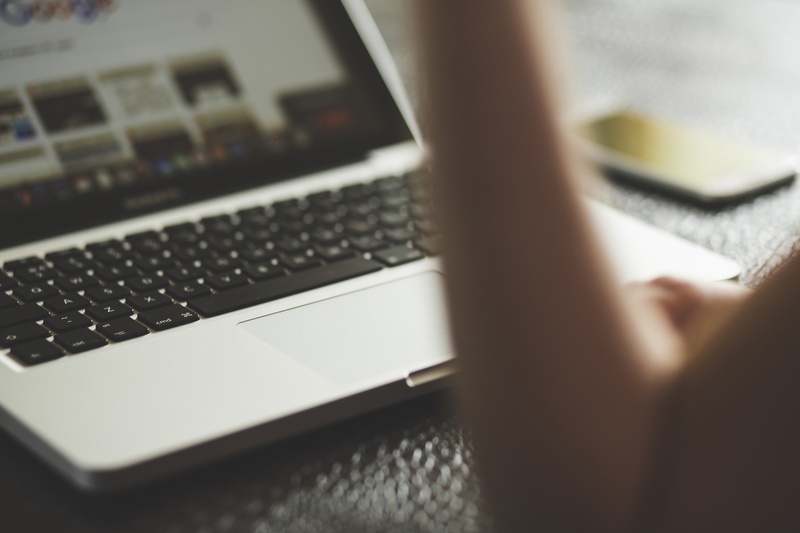 You'll find an overview of all the publications and reference cases we've shared with you. 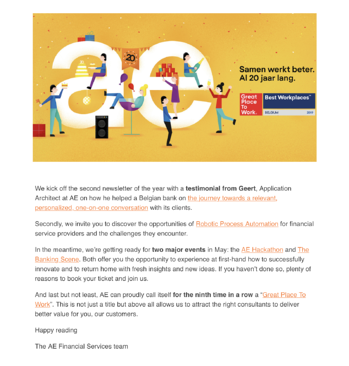 In the second newsletter of the year you'll discover a testimonial on how AE helped a Belgian bank on the journey towards a relevant, personalized, one-on-one conversation with its clients and the opportunities of Robotic Process Automation. We also invite you to two major events in May: our AE Hackathon and The Banking Scene event. With over 15 years of experience, AE Financial Services provides support to financial service providers in the end-to-end implementation of digital transformation, so that they are better able to reach, serve and attract customers in the current digitising world.